The school building was placed to design common spaces for all school buildings in the area, a space where children of all ages can play, confront and grow together. The New School is a continuous and dynamic environment distributes to the other spaces that follow each other along the whole building. 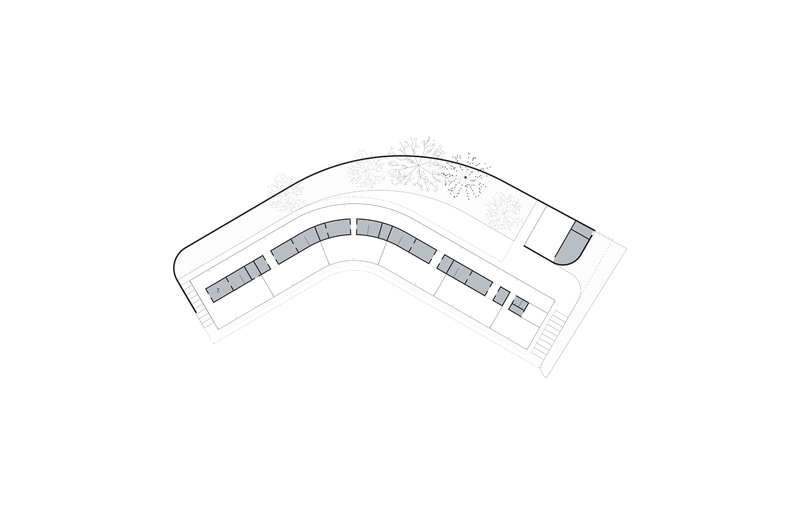 The 5 classrooms required by the program are arranged in line and directed towards the interior of the park in direct contact with the Primary School. These environments are totally transparent and in communication with each other in order to guarantee a space for stimulating and energetic growth. 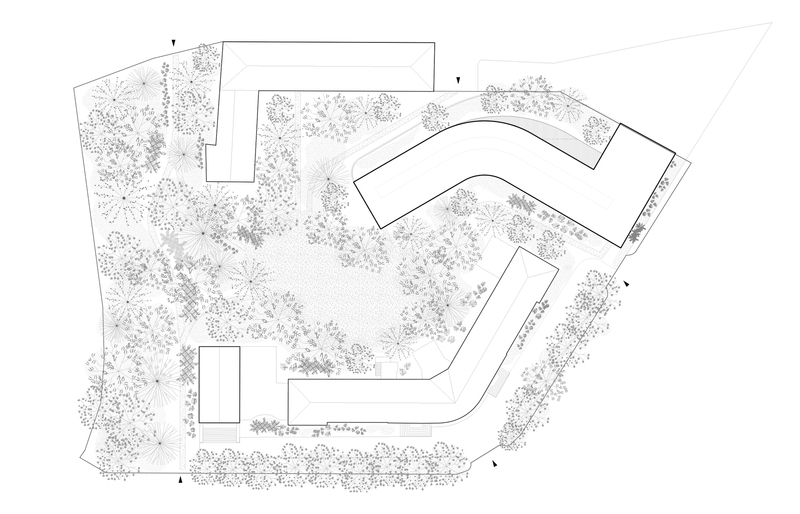 The space generated by the meeting of the three buildings of the didactic pole will create a small communal park. This Small park that will become the space for the game and common activities (outdoor lessons, meetings, shows) of the entire school community, manifests itself as a clearing, a protected space of interaction between the different institutes. It will Represent the centripetal nucleus of the entire didactic centre: a green pause engraved by sinuous branched paths between organic grassy surfaces planted with arboreal and shrub essences. Not devoid of suggestive capacity, the garden proposes itself as a spatial appendix to the pedagogical activity, welcoming to its interior small agricultural greenhouses destined to the didactic exercises.